These hot and savory spiced peanuts are coated with a blend of Cajun seasoning and cayenne pepper. The peanuts are cooked in a skillet in a small amount of oil until they're warm and well coated with the seasonings. If you prefer a Tex-Mex flavor, toss them with some chili powder or try a seasoned salt if you have a favorite blend. We think mesquite seasoning or a similar seasoning would work as well. See the expert tips below for a homemade salt-free Cajun seasoning blend. 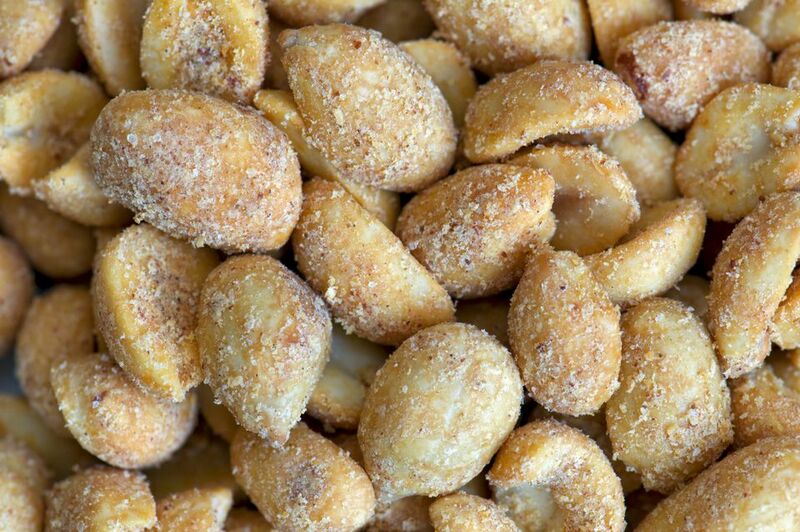 The spicy peanuts make a tasty snack for a game day crowd or holiday party. Add the Cajun seasoning and cayenne pepper to the oil and cook, stirring, for a few seconds. Add peanuts to skillet and cook for 2 to 3 minutes. stirring constantly. Serve warm or at room temperature. Store the spicy peanuts for up to 3 weeks in a tightly covered container. To make a homemade Cajun seasoning blend, combine 2 tablespoons of onion powder, 2 tablespoons of ground paprika, 1 1/2 tablespoons of garlic powder, 1 1/2 teaspoons dried leaf thyme, 3/4 teaspoon dried leaf oregano, 1 teaspoon of chili powder, 1/2 teaspoon of freshly ground black pepper in a bowl. Blend thoroughly. Use 1 teaspoon of this blend in the recipe along with 1/4 to 1/2 teaspoon of salt, or to taste.